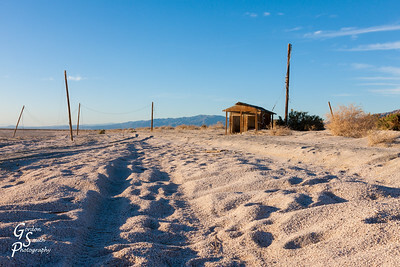 My new year of photos starting with Yant Flat, Joshua Tree and Anza Borrego. 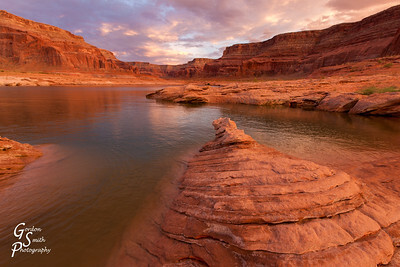 These landscape photographs will be added regularly for new and exciting takes of nature and the wonderful southwest. 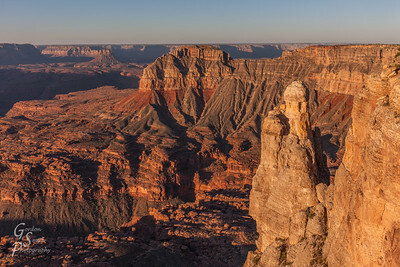 Kanab Point Towers Over Grand Canyon during this sunrise landscape photograph. 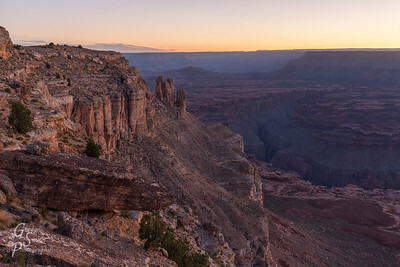 Spire and Buttes of the Grand Canyona at sunrise. 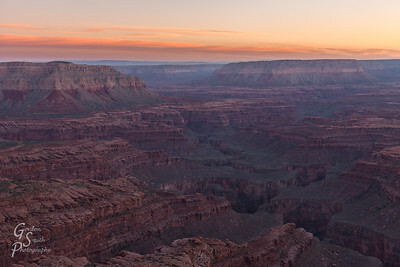 Kanab Point over Kanab Canyon taken at dawn at the Grand Canyon. 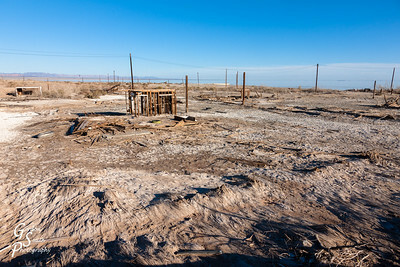 Niland Marina Ruins make a weird stop along this weird "sea". 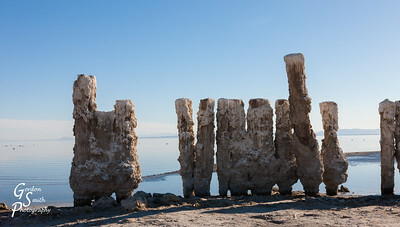 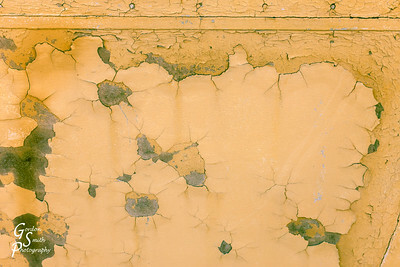 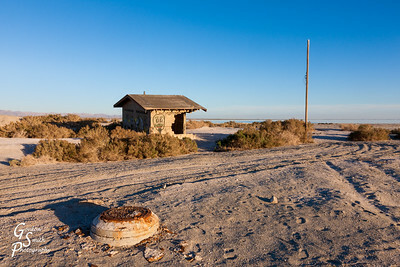 The Salton Sea Civilization: boom very brief and then bust. 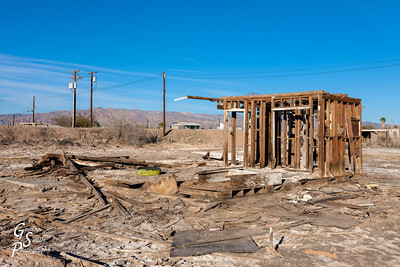 Countless buildings, homes, marinas and more are left empty. 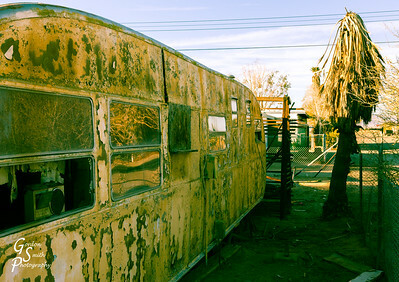 Bombay Beach Windows in this mostly abandoned town. 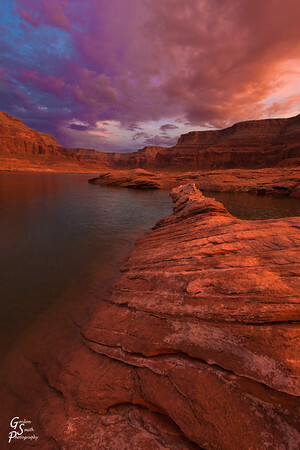 Purple Sunset Lake Powell over an open bay. 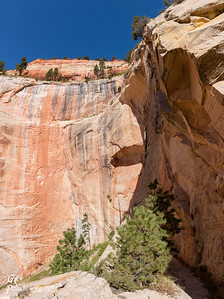 West Rim Trail Trees and Cliffs: The trees are one hundred feet high and almost match the serene heights of the cliffs. 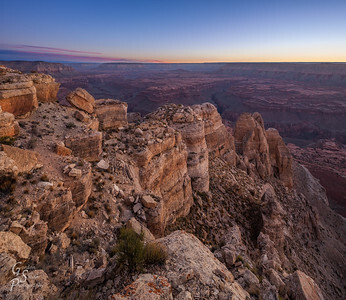 Knotted Castles: interweaving canyon, like knuckles or teeth come together at dawn. 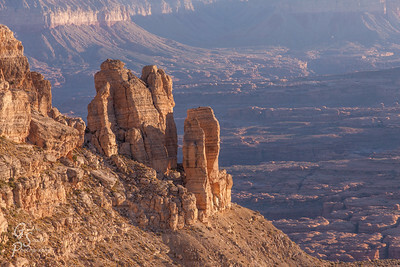 Stone Towers at Kanab Point stand hundreds of feet high. 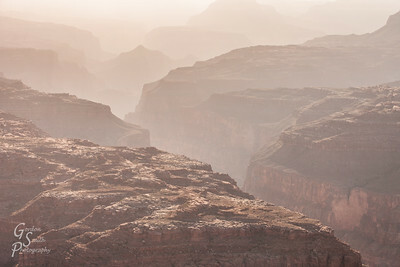 The massiveness of the Grand Canyon makes them seem just a small part of the whole. 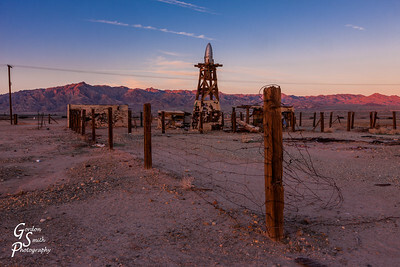 Just before sunrise, these tower glow with gold and purple light. 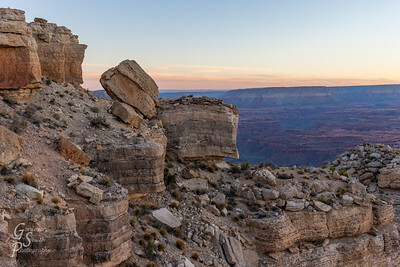 Boulders perch on ledges awaiting the new day. 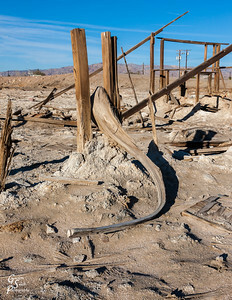 Salton Sea House Frame with a wonderful piece of twisted wood. 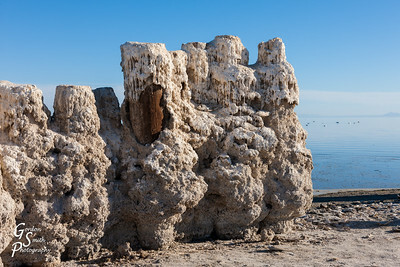 Shelf Rocks at Water's Edge with some underwater and some above the surface. 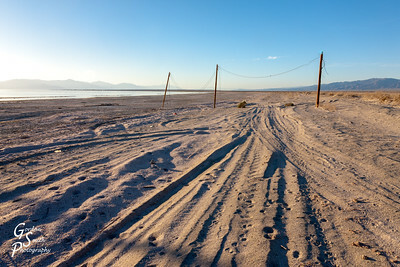 A pretty sunset develops across the bay. 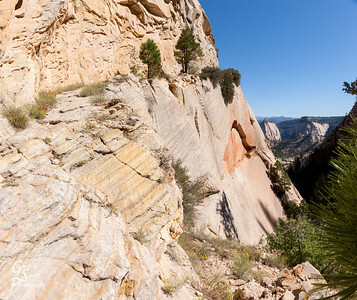 West Rim Panorama including Mount Majestic, East Temple, Castle Dome and other unnamed peaks. 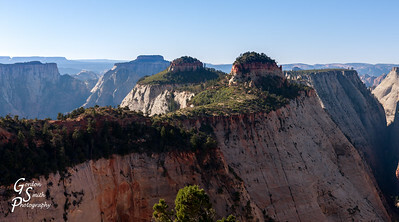 Dead Tree over West Rim Trail, with Behunin Canyon far below. 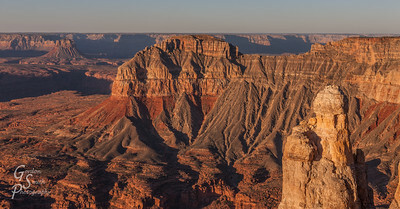 The vast view goes on forever. 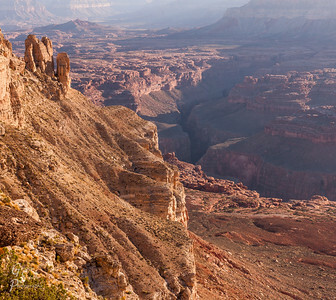 Kanab Point Landscape: from this vantage, you can look far across the canyon, see down to the Colorado River and pick out majestic towers and buttes. 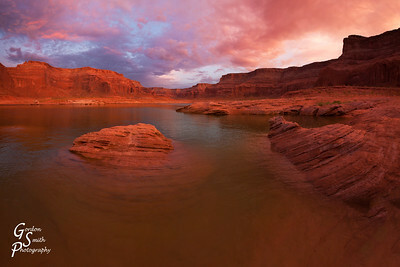 Sunrise here is incredible. 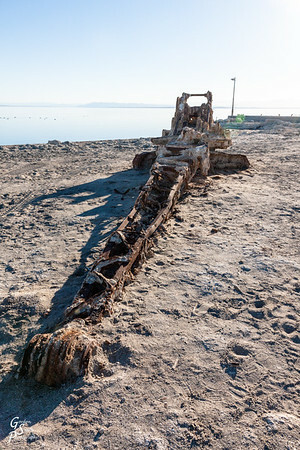 Dinosaur-like Crane in the sands of Bombay Beach, Salton Sea, California. 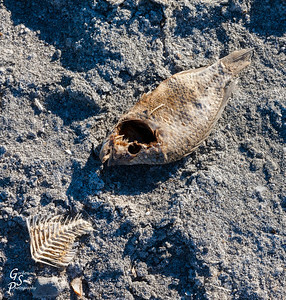 Dead Fish at Salton Sea adding to the smell of the place. 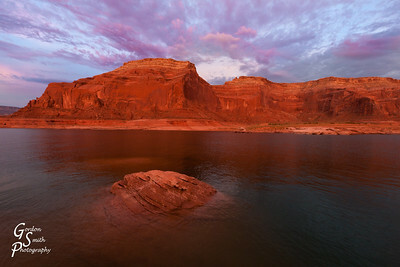 Lake Powell Purple Sunset at Dungeon Canyon, Utah. 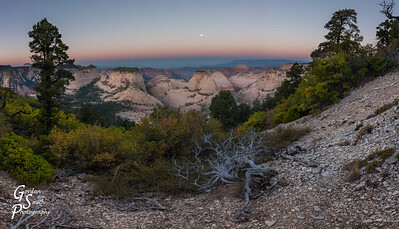 Dawn Over Zion's West Rim Trail: this panorama captures much of the vast West Rim views into Zion National Park. 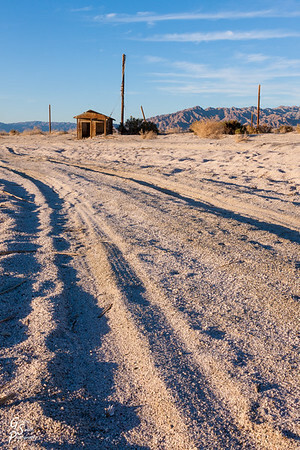 The great right and left forks of the North Creek form here. 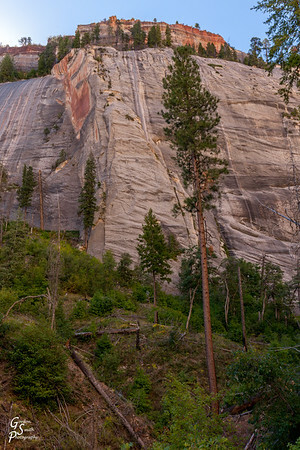 Ivins Mountain and the Inclined Temple catch the morning light of sunrise. 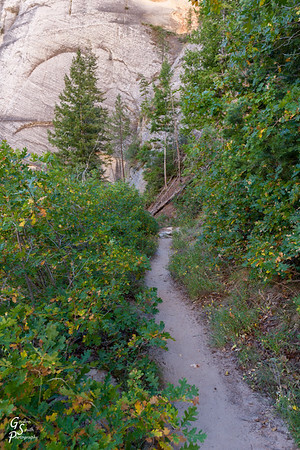 West Rim Trail through Bushes in a shady part of the adventure. 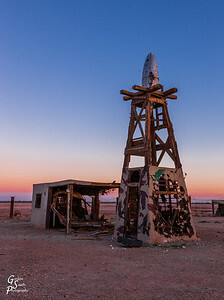 Rocket Tower of the Salton Sea taken at dusk with glowing red and blue skies. 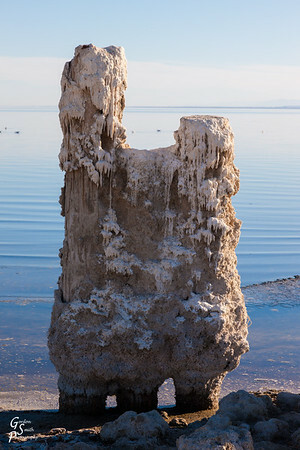 Salt Deposits on Pier appear like melting ice cream. 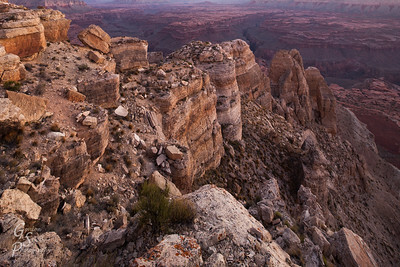 Sloped Rock at Dungeon Canyon as a wild sunset develops overhead! 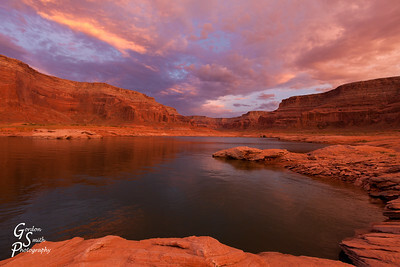 Gathering Clouds over Dungeon Canyon, Lake Powell. 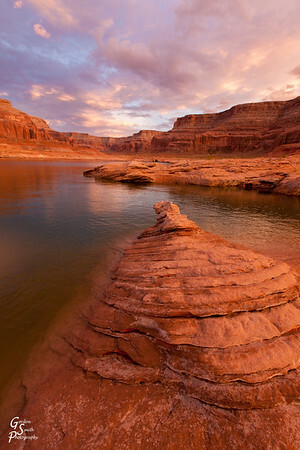 This area of Utah is renown for the unreal beauty and unusual landscape. 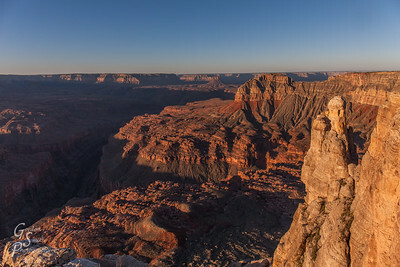 West Rim Trail Above Scout's Lookout. 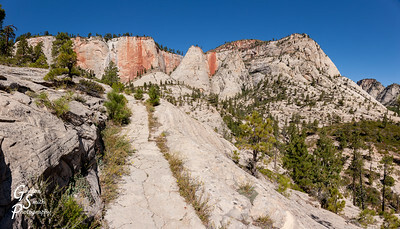 The trail leads off on the right but can be seen on the over side of the valley ascending a slanted path towards the high cliffs in the distance. 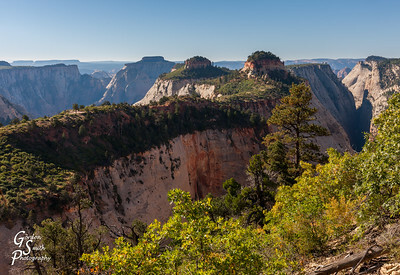 West Rim Trail Spectacular Landscape with pine trees, deep slot canyons, buttes shooting to the heavens and so much beauty! 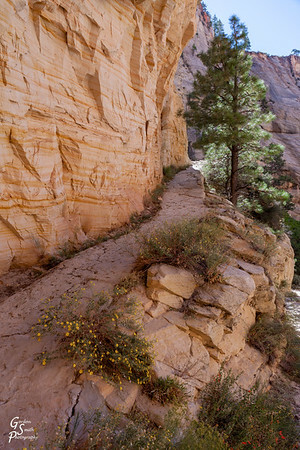 Over Grand Canyon: the Tuckup Trail runs far below. 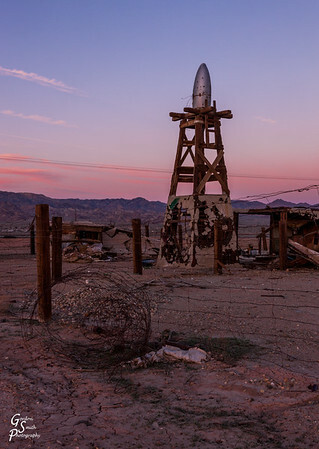 Salton Sea Rocket is another roadside attraction at this weird desert location. 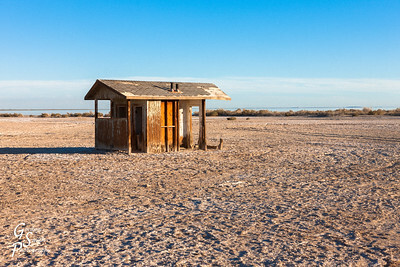 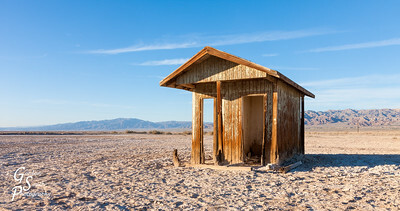 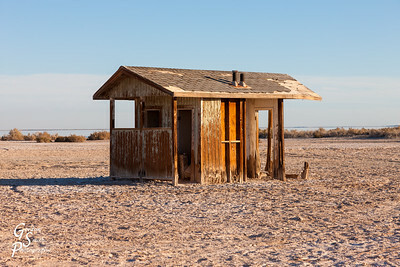 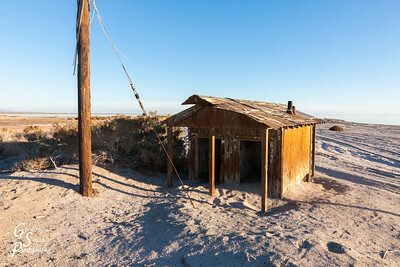 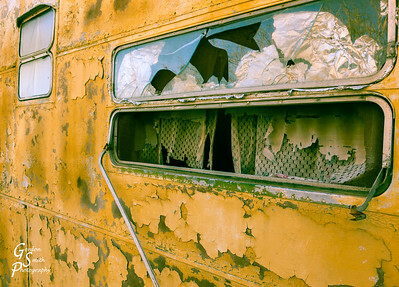 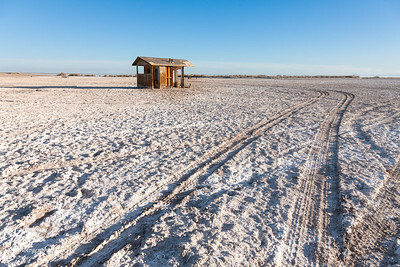 Buried at the Salton Sea is this changing hut. 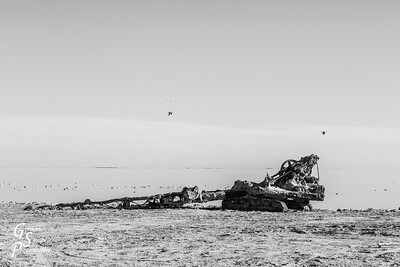 The sea in the distance. 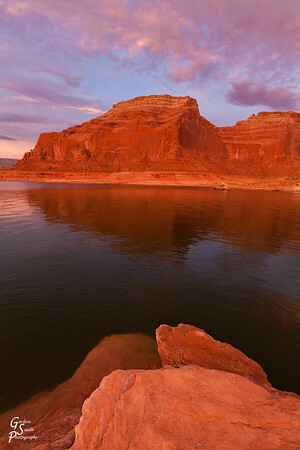 Dungeon Canyon is a distant location at Lake Powell. 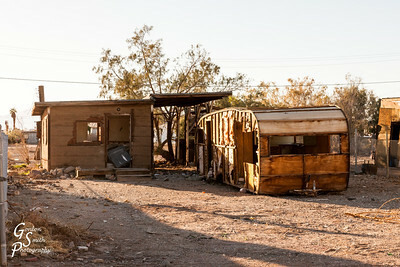 Beautiful and inviting, this place will forever be in my mind. 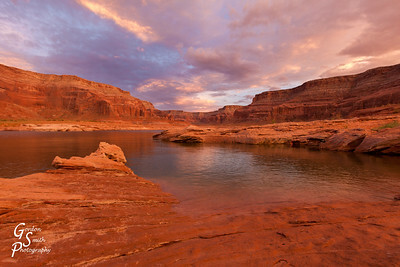 Dungeon Canyon Lake Powell is open, orange and beautiful especially on a cloudy sunset. 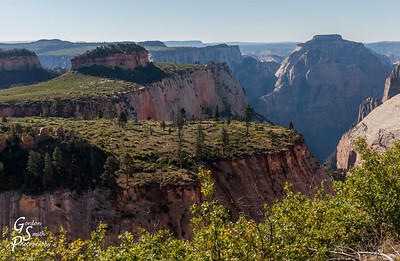 West Rim Trail Ascending towards the high cliffs in the distance. 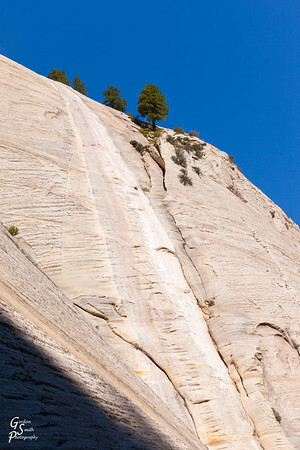 The ascent is the most amazing trail I've ever traveled. 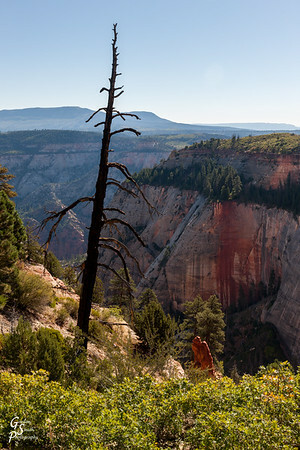 West Rim Canyon Walls glow with beautiful reds, oranges and are highlighted by a few towering pine trees here and there. 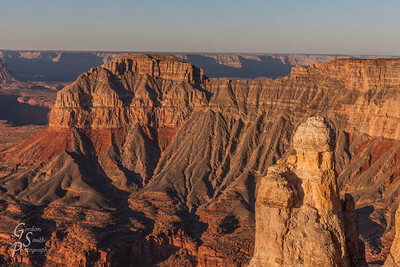 The highest point are more than 1000 above the canyon floor.